Parable - The bank hath benefit of interest on all moneys which it creates out of nothing. 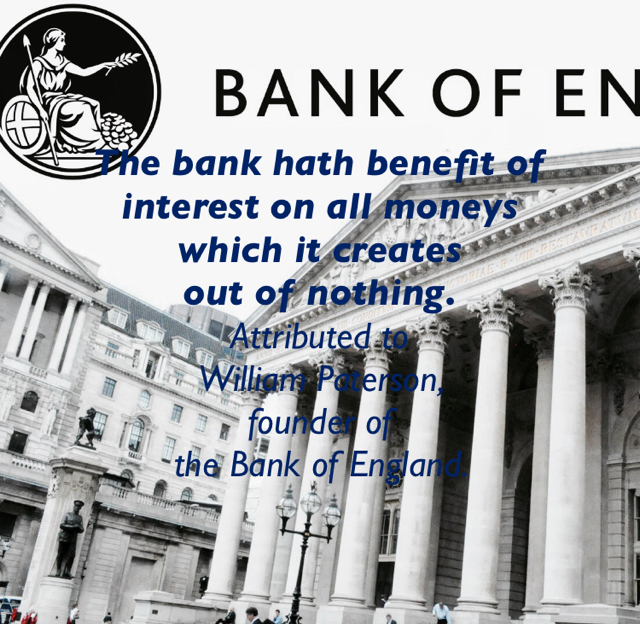 Attributed to William Paterson, founder of the Bank of England. The bank hath benefit of interest.